"I shall wear white flannel trousers, and walk upon the beach." 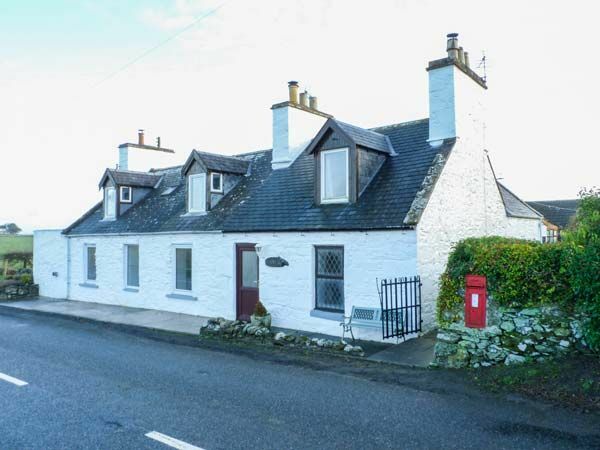 This semi-detached cottage is close to the village of Port William near to Wigtown and can sleep four people in two bedrooms. 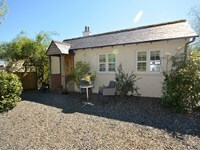 Lyndalan Cottage is a lovely semi-detached cottage situated close to the village of Port William just ten miles from Wigtown in Scotland. The cottage can sleep four people in two double bedrooms one of which has an en-suite shower and ground floor bathroom. Also in the cottage is a kitchen with dining area, sitting room with woodburner and conservatory. 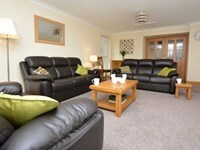 Outside is ample off road parking and a private enclosed garden with furniture. Lyndalan Cottage to use as a base for exploring this beautiful part of the country. Note: The en-suite bedroom is one small step down from the landing, two steps from the kitchen to the rear hallway and a further step up to the conservatory. around 5 miles south-southwest as the seagull flies, around 5 miles by road. Lyndalan Cottage - A holiday cottage in Dumfries and Galloway, Scotland. Book your next beach holiday through British Beaches.